If the quilts of Gees Bend can have a unifying look, can the “free jazz” of Lower Manhattan have a unifying sound? 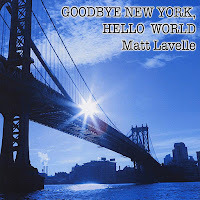 If it can, those unifying characteristics might include idiosyncrasy over slickness, directness over flourish, gesture over precision, frenetic abundance over pastoral quietude—a description which fits the city, its music and Matt Lavelle's "Goodbye New York, Hello World" in particular. Lavelle delivers heroic performances on both clarinet and trumpet, which if you have ever played either you know is quite a feat to do on both. To what degree does one inform the other? They are two very different instruments organized and operated in two very different ways. My sense is that “looking” at improvisation from the perspective of a brass and reed player, subject to the strengths and limitations of both, has been an occasion for focus and crystallization. Lavelle's clarinet playing on "You're the Tonic" is nothing short of epic, as is (what I believe to be) his flugelhorn playing on "Rose"—in it is everything you could want in a trumpet solo from a full, enveloping tone to a rapid cascade of notes winding unexpectedly over foundations laid by Francois Grillot on bass. In the event there was any question what part of the jazz spectrum "Goodbye New York, Hello World" inhabited, Ras Moshe grounds the project squarely under the Lower East side “Free Jazz” umbrella, and it is in those extended minutes that he is at his most convincing. Successfully participating in a way of playing the saxophone that found its most storied expression in Pharaoh Saunders, Archie Shepp and Albert Ayler takes time and dedication to the craft—usually at the cost of something else. It is when Moshe plays the “normal” notes on the horn that interest is likely to flag. 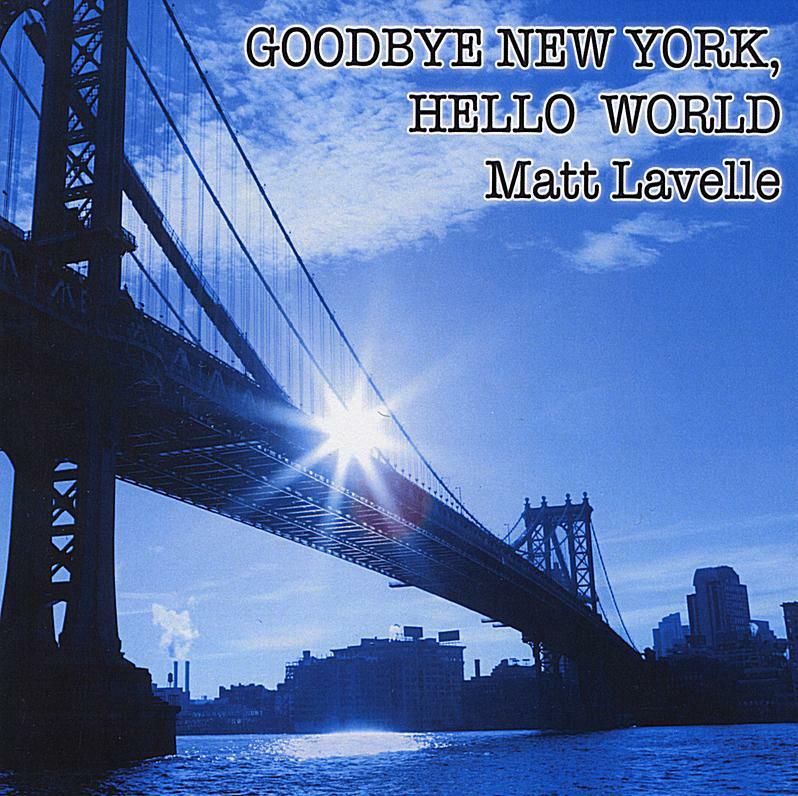 "Goodbye New York, Hello World" is a highly listenable document of the “Free Jazz” reality in New York at this time. Like it, hate it, the fact remains that this quartet and this recording is part of a history and lineage. Lavelle is a vested member of that lineage, a position he's earned through hard work and staying power. His connections to that city and its canonical figures—about which he has written in his own blog—combined with an indisputable way with brass and woodwinds makes Lavelle, now and forever, more than just a passing footnote not only in the New York musical community, but a figure in the larger musical/historical narrative. The band : Matt Lavelle - trumpet and bass clarinet, Ras Moshe - saxes, François Grillot - bass, Bob Hubbard - drums. It is interesting that one person hears a four star release and another hears a pale imitation of the vibrant downtown NY scene. We can argue and disagree but I thought this was very weak. A non-argument could begin with what means weak? What I have personally found myself for me and my way of hearing things is that "strength" (especially in the form of abundant production sheen and/or technical virtuosity) can sometimes come at the cost of charm (or listenability if you prefer.) Same with innovation and depth. Sometimes I feel like they are their own oppression. That is my personal feeling, and is neither a negation of nor mandate for anyone else. While I am sure there are "stronger" examples (what ever stronger means) of the "vibrant downtown NY scene," I immediately found something accessible, human (perhaps all too?) and charming about Goodbye New York, Hello World. For the rarity of that experience, four taps of the * it was. Besides, the name of the album is worth 4 stars alone. Umm..Anonymous..I respect your opinion but who are you? I would respect your opinion much more if you had the courage to actually reveal your name and add some honest discourse of why this left you with a bad taste in your mouth. Your description of a "vibrant downtown NY scene" suggests you have no actual knowledge of the reality of NY.There is lots of music here every night,but no one is making any kind of living.You seen ready to argue your point but I guess this record is not worth your stellar effort at demonstrating the need for people to know how you feel but not who you are. You may be an outsider who compares me to records from the 60's because you think that's NY. Anyway my new record coming out on ESP called Solidarity might give you a better vibe than hearing a "Pale imitaion"..
Geez,.I wish people who have to need to drop words like that would have the courage to state who they are and why there opinion is needed!